Brian Robison, the Vikings’ longest-tenured player, was released on Saturday. Robison, 35, was cut from the roster in the most surprising move made by Vikings General Manager Rick Spielman during the team’s cutdown to form its initial 53-man roster for the 2018 season. Saying Robison exceeded expectations would undersell his contributions to the Vikings. As a kid from a small Texas town just north of Houston, Robison grew into a leader in both football and life for the Vikings locker room. 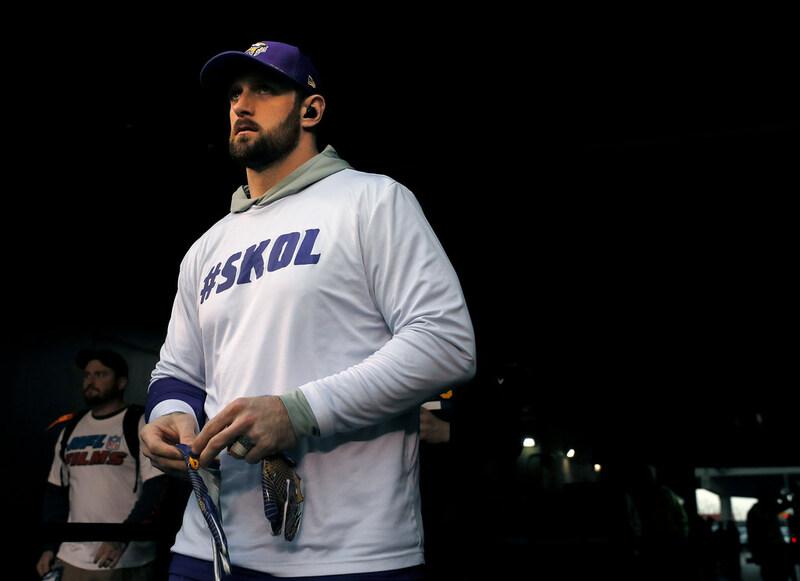 Head coach Mike Zimmer hand-picked Robison as a team captain, and one he’d meet with weekly to get the pulse of the locker room, in each of the past two seasons. He’ll be missed most as a cohesive influence in the locker room, instantly forming connections with younger players threatening his job security. When defensive end Stephen Weatherly was drafted in late April 2016, he was invited to Robison’s weekly in-season bible study at his house that included about 15 players from all corners of the roster. Weatherly also credited Robison’s mentorship for his own rise on the field. The Vikings defense fielded a top-15 scoring unit in four of Robison’s six seasons as a full-time starter from 2011 through 2016. Robison’s 60 career sacks are tied with Kevin Williams for fifth in Vikings history since they became a recorded stat in 1982, trailing only John Randle, Chris Doleman, Jared Allen and Everson Griffen. He appeared in 173 regular-season games for 17th most in Vikings history, according to Pro Football Reference. His selfless nature is displayed through his charitable efforts, including raising thousands of dollars annually for K9’s4Cops and other organizations via his Reel ’Em In Foundation. Robison also agreed to pay cuts totaling $3.4 million each of the past two years to remain in Minnesota, including a $2 million cut this spring when he indicated 2018 would be his final NFL season. His career earnings to date still topped $42 million in 11 NFL seasons. Win or lose, Robison was a stand-up professional with reporters and with his teammates. He was voted the Korey Stringer Media Good Guy Award winner by local beat writers in 2014, a year in which the team went 7-9. Robison’s willingness to help younger players carried an even greater impact. After Danielle Hunter made 12.5 sacks as a rotational player in 2016, Robison publicly said Hunter had done enough to take his job — a rare admission for an NFL starter of any caliber. Zimmer called Robison a key in establishing the “kind of culture” he sought in Minnesota. More competition coming at linebacker for Vikings? 2019 Vikings schedule: What are the toughest games, key matchups, best road trips?